I kind of promised myself that I would try simpler manicures this year, but I'm having a really hard time abandoning my profound love of glitter. I think it's something about the persistent pervasive cold plaguing our existence that makes me want to look at shiny things all day. Perhaps I'm having Stockholm Syndrome for ice. 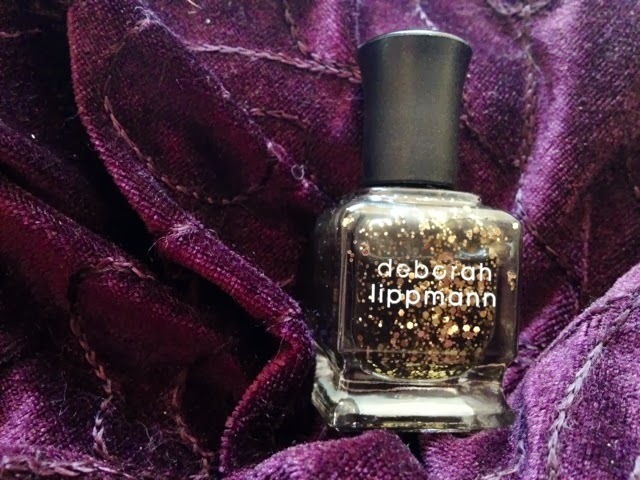 This is Deborah Lippmann Cleopatra in New York, and I am in love, IN LOVE I TELL YOU! The medium and small sized pieces of gold glitter sit in a black jelly base, which adds visual interest as the pieces are revealed in varying levels of translucence between the coats. I did two coats with a topcoat, although you could just as easily forgo topcoat since this 'un shines nicely all on its own. 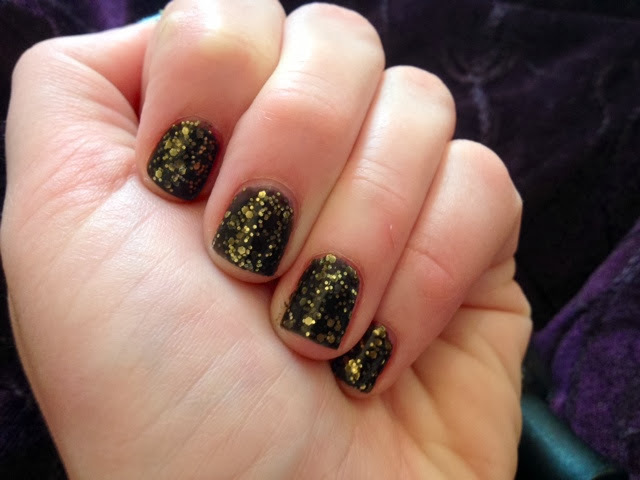 But seriously, shiny nail polish may be the only thing getting me through this winter.